65% of employees in the Rockwell Automation health plan have registered on myuhc.com. If you haven’t registered, you’re missing out. Register now. When you use Tier 1 providers and freestanding facilities, your health plan pays a higher portion of your medical costs—85% after the deductible instead of 80%. When should you use Virtual Visits? You don’t always know when you’ll need your health care benefits or resources. But you can prepare now by getting familiar with online resources that will help you make the most of your health plan and be a wise health care consumer. 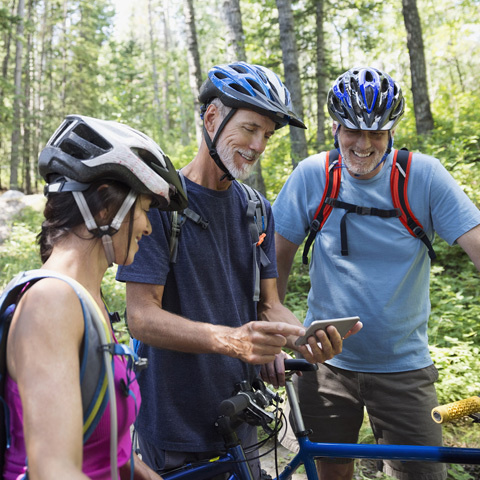 Take your health plan information with you when you’re on the go. Download the app on your personal device through the Apple® App StoreSM or Google Play™. You can download it on your Rockwell Automation device through the IT Zone Store. Questions? Contact UnitedHealthcare at 1.844.234.7924.